I agree with you from here out his development is the most important thing. But can he really develop with a bad oline and no wrs? All he can do is learn bad habits. Now if he's watching from the sidelines he can at least see what is going on downfield without taking the hits. he can be in Daboll's ear and hear his thinking from one play to the next. Andy Reid didn't play Mahomes until he was ready. Allen isn't ready. This offense isn't capable of winning so to say we're taking is just acknowledging how bad we are as an offense and how far we have to go to get back to being competitive. A top 5 pick affords us the ability to draft a blue chip prospect or trade back and acquire more picks. It helps, but not as much as developing Allen and getting him some weapons on offense and some blocking does. 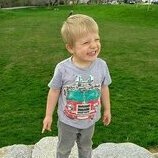 I think the 80 mil in cap space goes further to helping Allen because we can get ready to play guys who do not need to be developed. Plug and play. Screw that! If Allen is healthy, then he plays. You can draft a great player from the first pick to the 32nd. We don’t need to be top 5 to get a good/great pick. Let the scouts do their job. I kind of understand what youre saying. But Josh just doesnt have the tools around him to succeed. Its like trying to learn to play golf without taking lessons. Youre going to learn how to hit the ball...but you are going to learn poor and improper habits. Youll never hit the ball as far or as accurately without the proper technique and instruction. It's not. Usually the excitement about having a pick like that is to take a QB and were not gonna do that. And if the Bill's dont trade down I can see them going defense with that pick. The problem with purposely playing not to win in order to improve draft position is that drafting by its very nature is still a gamble with no assurances of a payoff, and in the meantime your “culture,” “process” all suffer with deteriorating morale for the ones already here and being pegged to build around. Just win baby! Or at least try your absolute best and make sure your team knows and respects your efforts to win. I agree 2018 season is done; I hope we finish 2-14. 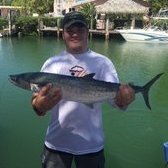 I agree with you, but; the Bills could probably get quite a bit in return for a top 3 or even top 5 pick, let alone the #1. I would like to see them acquire 1st and 2nd round picks for 2 seasons. My thing is that this team needs a complete overhaul under any conditions. There is no offense and key defenders are old. I was never one to want the Bills to lose. Never, and I have been around for some bad teams. But, Alex Van Pelt was better than Anderson and Peterman. How scary is that? I hate to say it but in this one instance, losing out might not be the worst thing that could happen to Bills Fans. We have be losing so long that is the only mentality many fans have. I personally would like to see us win again and re learn a winning culture. You are right, losing does not help. Ever heard of Aaron Rodgers or Patrick Mahomes? 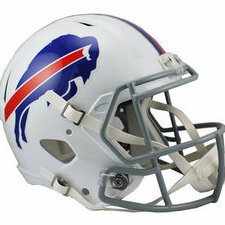 Its one of those things where I will be watching the game and going for the Bills to win as I find it impossible to go against them. Agreed, it’s a defensive draft anyways. Pointless to have a top 5 pick especially with no QB looking like a top 10 pick. We are a lock to pick in the top 10 and should be able to add an OT at that point in the draft. 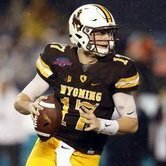 Josh Allen playing well is way more important than draft position. IF Josh Allen starts, I'm rooting for a win and we should all be doing the same. He needs as many wins and as much locker room confidence as possible. This team won’t come close to the playoffs, and they’re not looking to draft a franchise QB in the upcoming draft. Last years playoff berth may have hurt somewhat by increasing the cost of securing a high pick. It’s all about what you’re willing to pay. In the end, Beane may have been a bit too penny-wise with his picks. They need a lot of players in this draft. Not one specific player. They need to increase their odds of success by drafting many players and hoping for an above average hit rate if they are going to be around to see this through. Great organizations make the right picks when it is their turn in the NFL Draft. 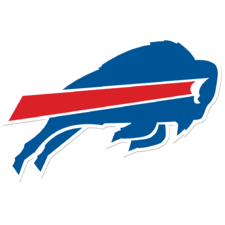 Bills have draft capital to move up if they need to get someone. The goal now is to get Allen game time and see some progression. If the Bills finish 5-11 and get say the 6th pick, so be it. How many years of losing and top draft picks do we need? We've had almost two decades worth of high draft picks. How has it worked out for the Browns? This team needs to win as many games as possible. They need to learn to win. Winning is what will give Allen confidence. I hope we never have a top 10 draft pick again.